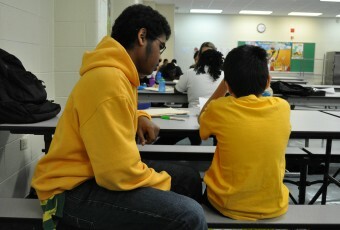 In-Class Tutoring: LivingWorks places tutors in classrooms at Kilmer Elementary School during the school day. Tutors work 1-1 or in small groups with students, allowing teachers to provide more differentiated instruction and individualized attention to their students. After School Program: Students meet individually or in groups of two with tutors, who help with homework comprehension and provide subject-based tutoring as needed. Following homework, each student in the After School Program spends 15-20 minutes per day working through the Reading A to Z curriculum to foster and track literacy development.